The usual detailed 'Scale Aircraft Modelling' treatment of the plane which kept Curtiss at the forefront of fighter design following the success of their biplane line. 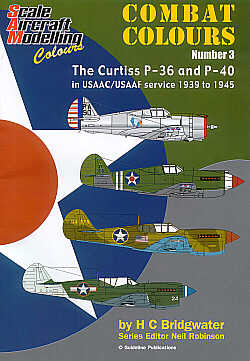 When re-engined with Allisons the P-36 became the P-40 and served with distinction throughout World War II. 8 colour 3-views. 150 colour profiles. 44 black/white photos.